This home is situated on an extremely narrow and steep site with interesting views. The house is shaped as a stretched out form with a patio and terraces. By recessing the terraces, the optimal orientation of spaces is achieved, in addition to vegetation and natural lighting being introduced into the elongated form of the house. A one-flight staircase that connects all house levels is situated next to the patio. The living area of the house is located on the ground floor. Sleeping quarters are on the first floor, divided into two zones: one being children’s sleeping area and the other the master suite. The basement includes indoor pool, a gym and mechanical spaces. 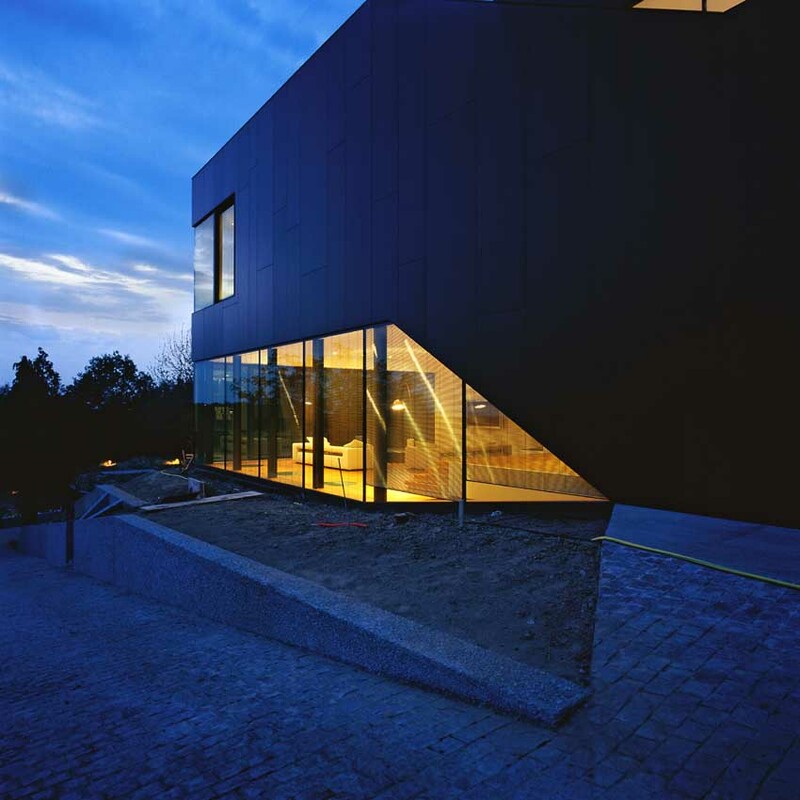 The design uses two contrasting forms: the main wing of the house with an L-shaped floor plan and facades coated in colour, juxtaposed to a wooden element with two story-high dining room that is visually connected with the gallery on the first floor. Authors: Andrea Donatović Poljičak, d.i.a., Morana Lepur Donatović. d.i.a., Jakov Poljičak, d.i.a., Lovro Donatović, d.i.a.